Here is our September offering, in our Birthstone Bracelet series. September's birthstone is the sapphire, a precious gem that symbolizes wisdom, loyalty and nobility. 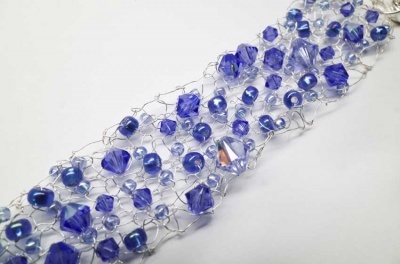 When people say “sapphire,” they’re usually referring to the royal blue variety of this gem though it actually comes in a large array of blues and even other colors. Unfortunately, I was unable to find "real" sapphires for this bracelet. The high quality gems were way too expensive to be able to offer for our purposes and the lesser ones just didn't appeal to me at all. 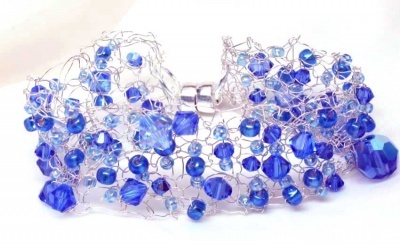 So what we did was we went with high quality sapphire of a different realm -- the sapphire crystals of Swarovski. 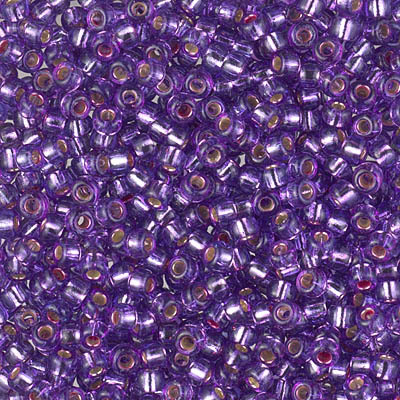 We brought in a number of sizes and blues in these stunning light-catching crystal beads, and combined them with some sapphire colored beads from Miyuki. Threading them randomly onto a 30 gauge silver wire and knitting, with a magnetic clasp to finish it up, the result is an extremely ethereal look. Lacy and as if the crystals are floating. 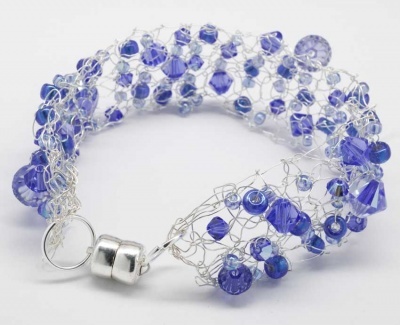 This is essentially our Bead Soup/ Bead Stew Bracelet design, except that it is knit with wire. I know many of you have already have made other bracelets from us along very similar lines. If you feel you do not need another pattern, simply choose "No Pattern Needed" using the drop-down menu under the top photo on this page. 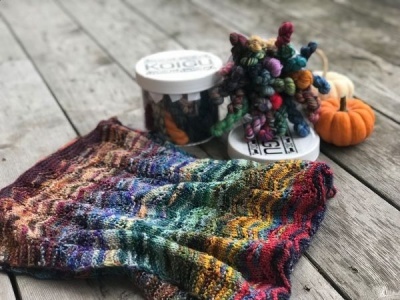 I have written up the pattern including some slight adjustments and recommendations for knitting with wire. If you would like a printed copy of the pattern, please make sure the "Pattern" drop-down menu is set to that. We also can email the pattern to you, though I have to do it manually and usually send it right before I mail the kit (please be patient). Again, just make sure that drop-down menu is set as you would like before you check out.